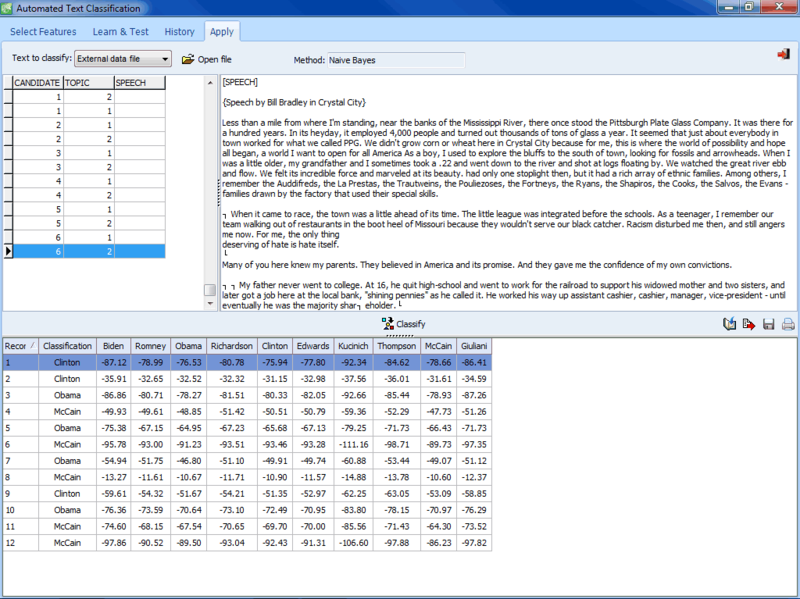 A confusion matrix is a useful tool to assess the performance of an automatic document classifier. 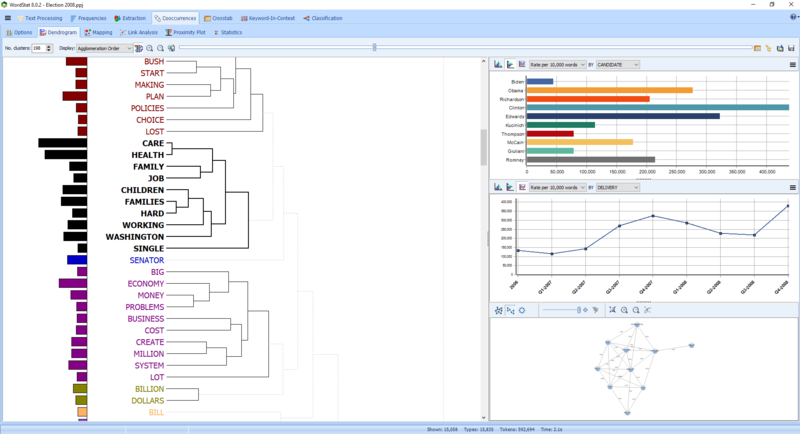 This multidimensional scaling displays lines representing the strength of association between data points. 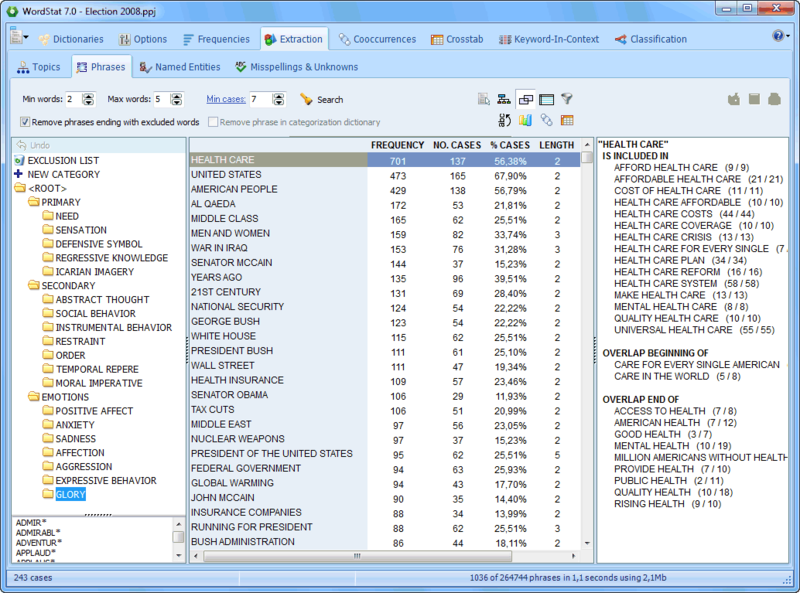 Hierarchical clustering is a useful exploratory tool to quickly identify themes or groupings of documents. 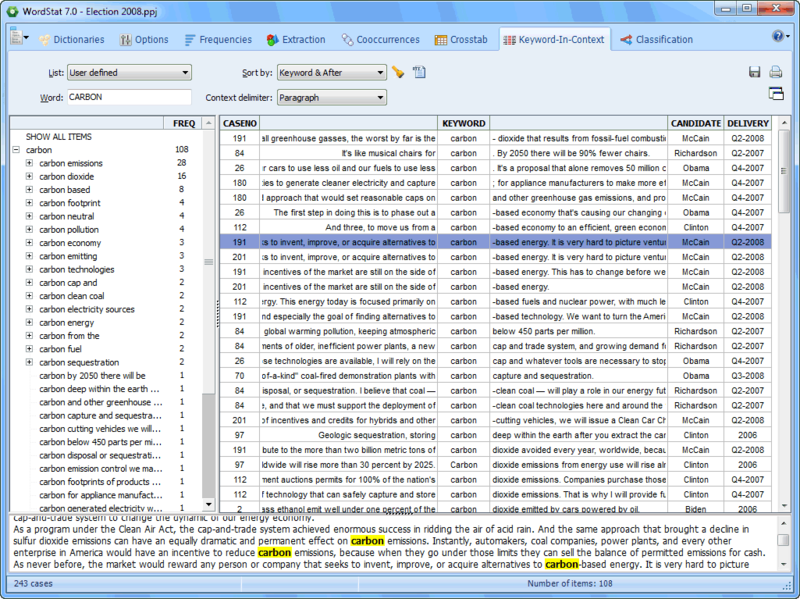 The Keyword-In-Context (or KWIC) page allows one to display the context of specific words, word patterns or phrases. 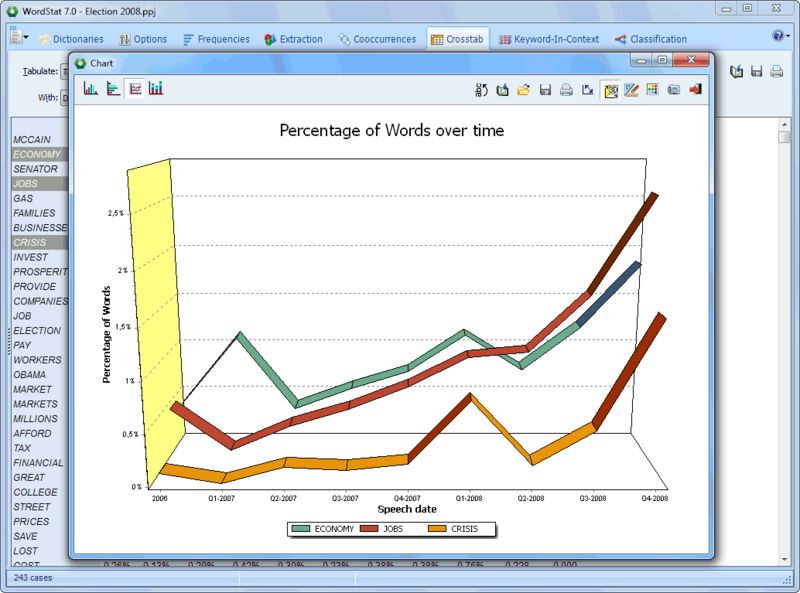 Temporal trends of content categories overtime may be plotted using line charts. 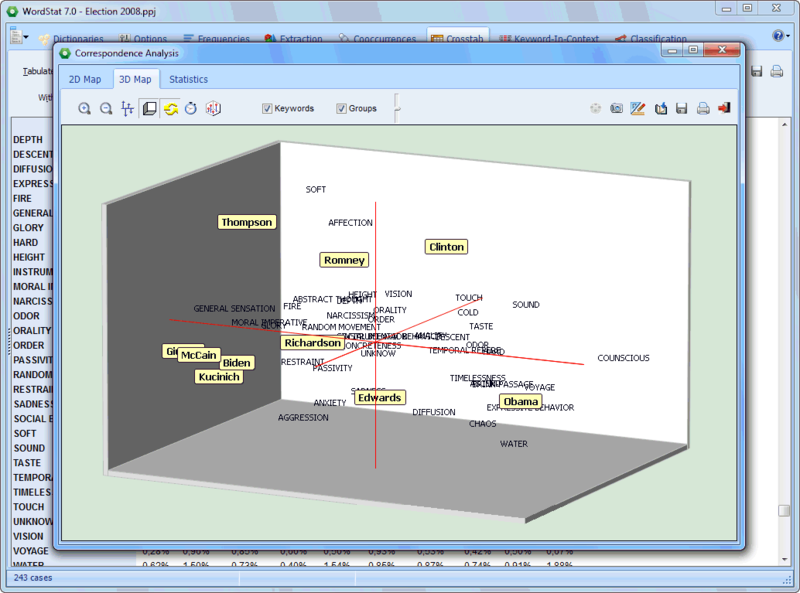 Bubble charts are graphic representations of contingency tables where relative frequencies are represented by circles of different diameters. 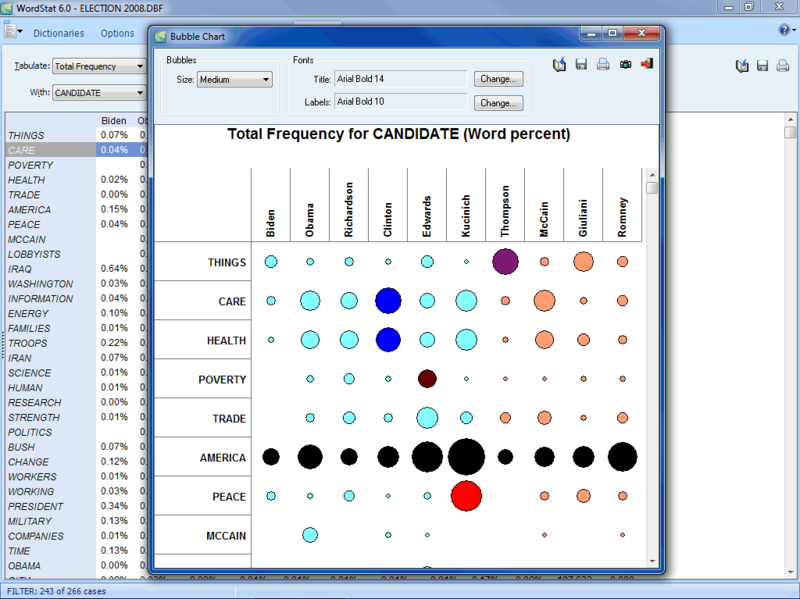 Correspondence analysis is a powerful exploratory technique to identify relationships between keywords and categorical or ordinal variables. 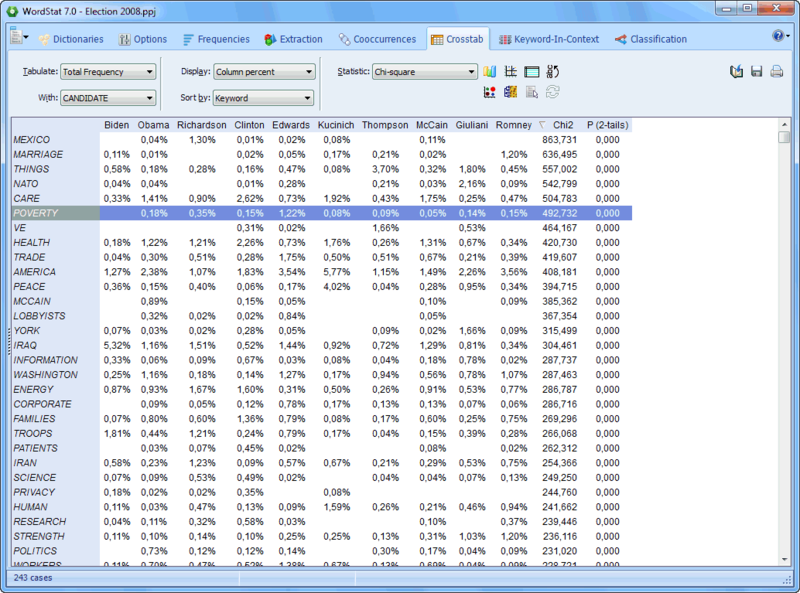 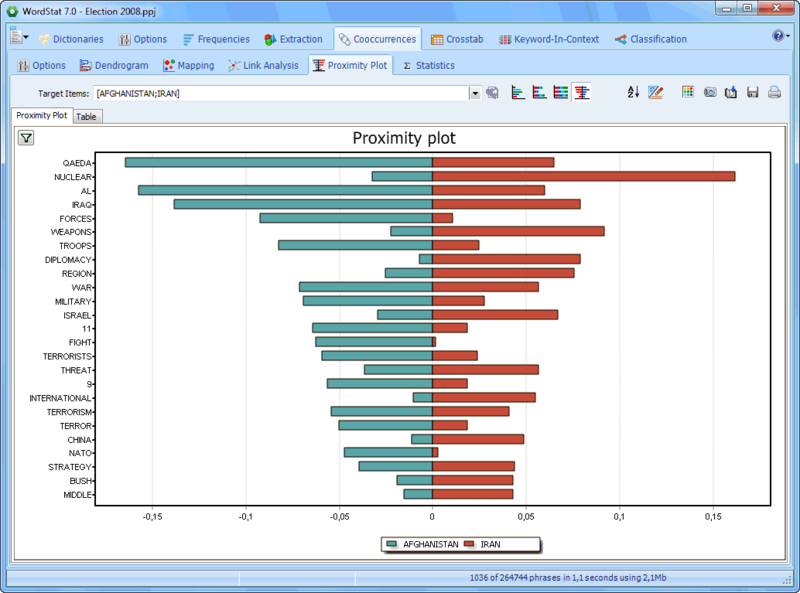 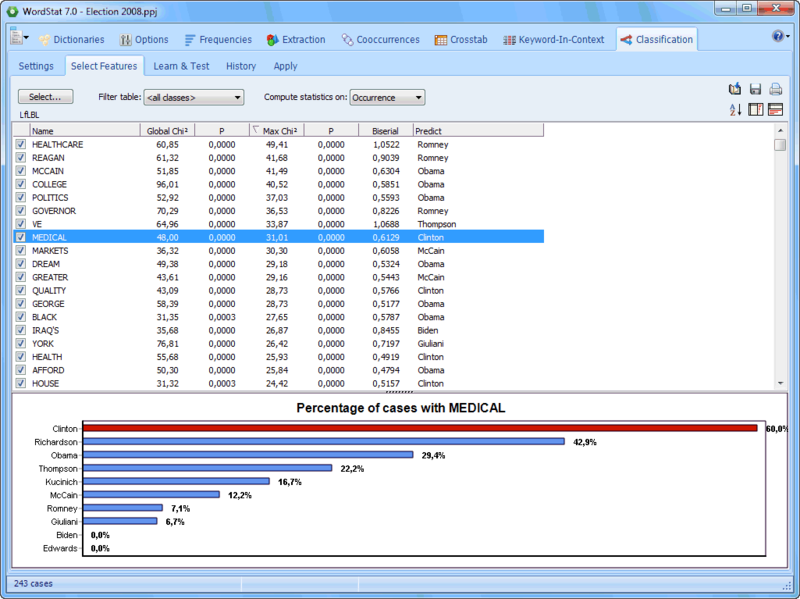 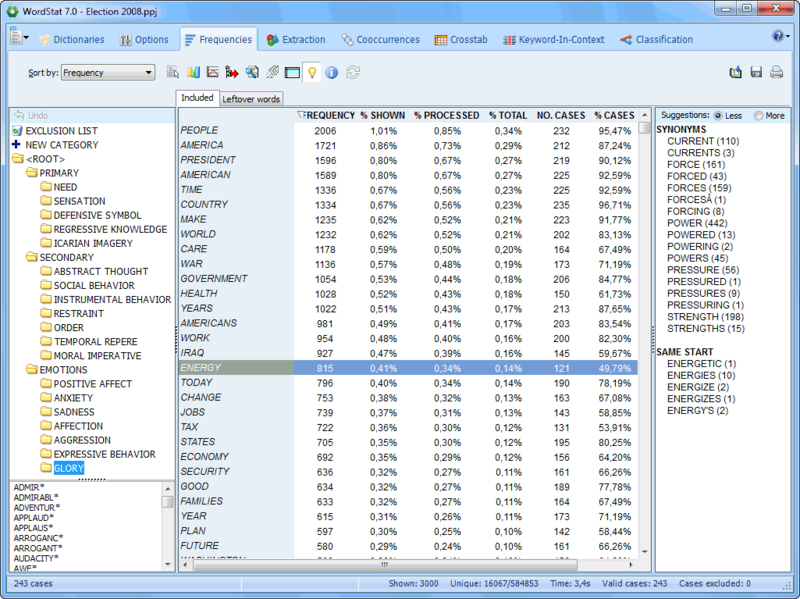 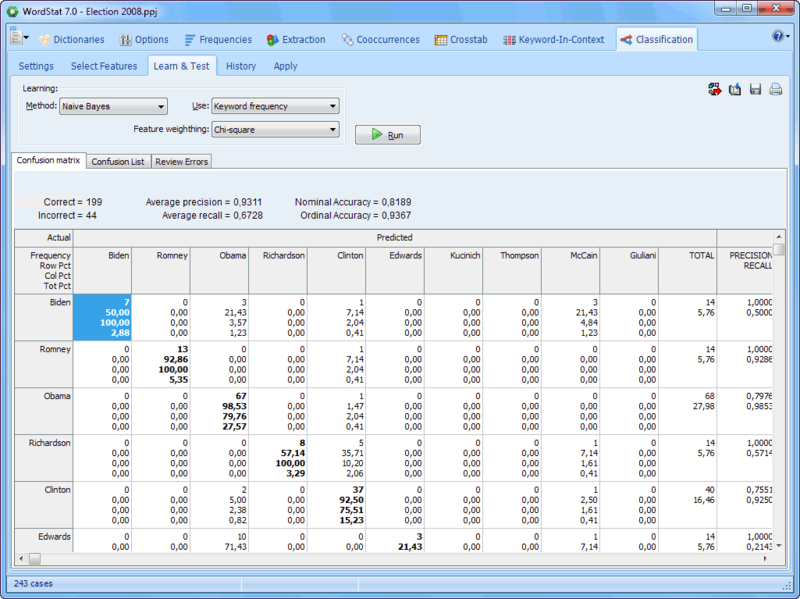 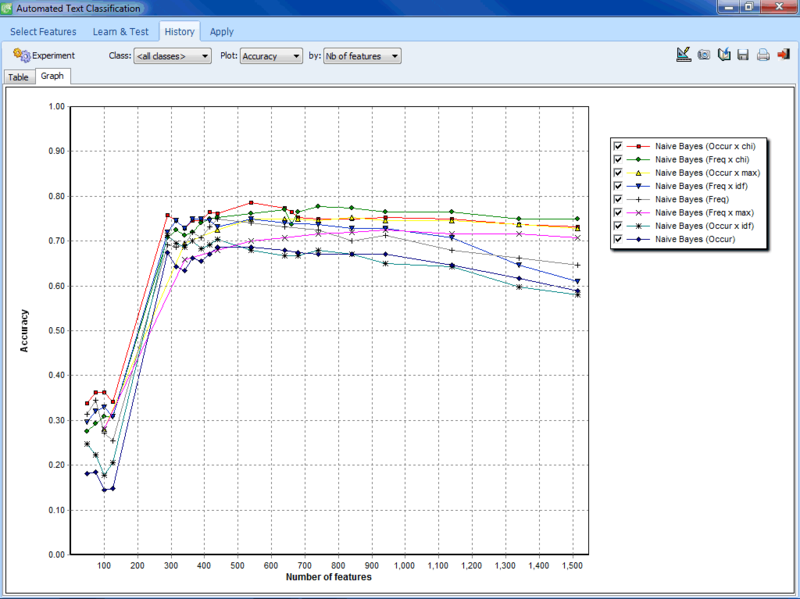 The Crosstab page allows one to compare keyword frequencies across values of numerical, categorical or date variables. 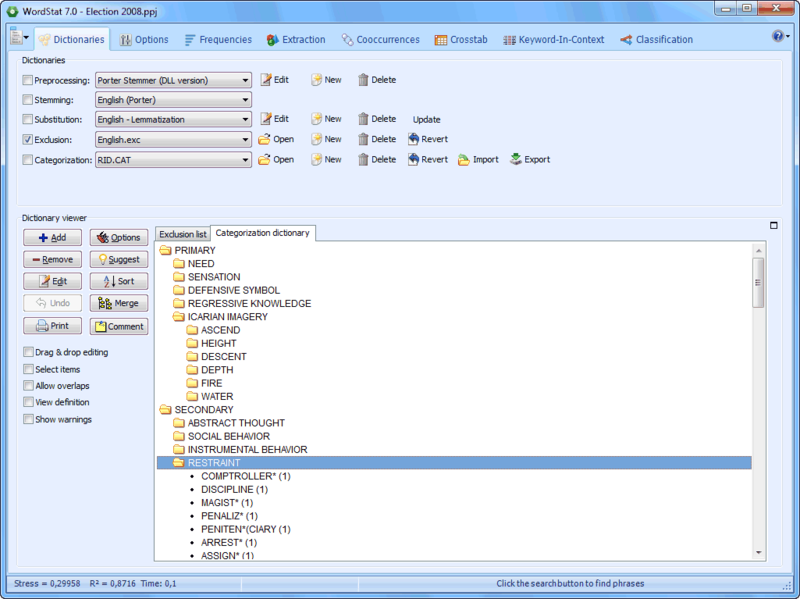 The Dictionary page allows one to adjust various text analysis processes, create and modify dictionaries, exclusion and substitution lists. 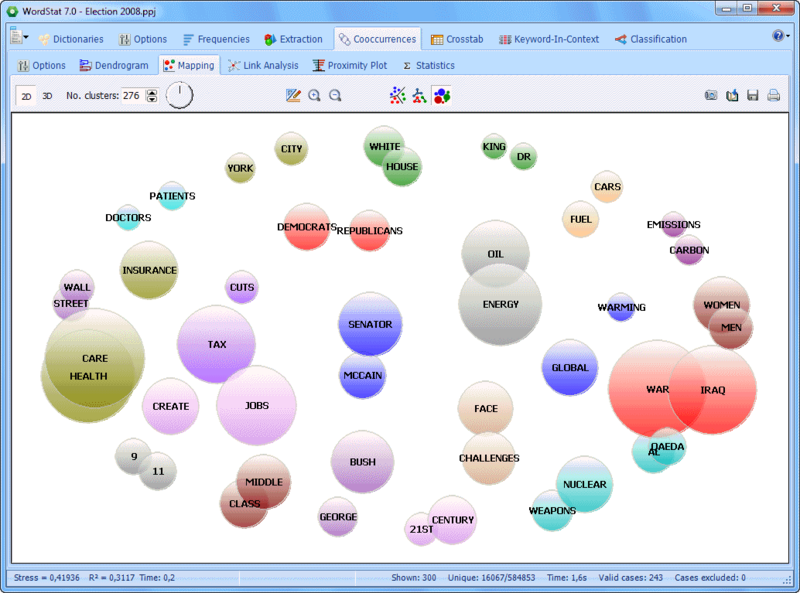 The Phrase Finder feature allows one to easily extract the most common phrases and idioms. 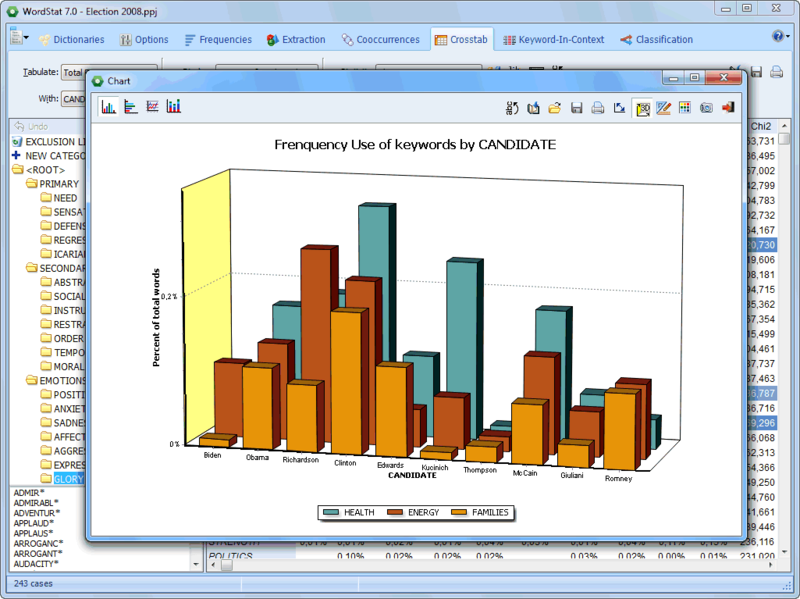 Bar chart, pie charts and word clouds can be easily produced. 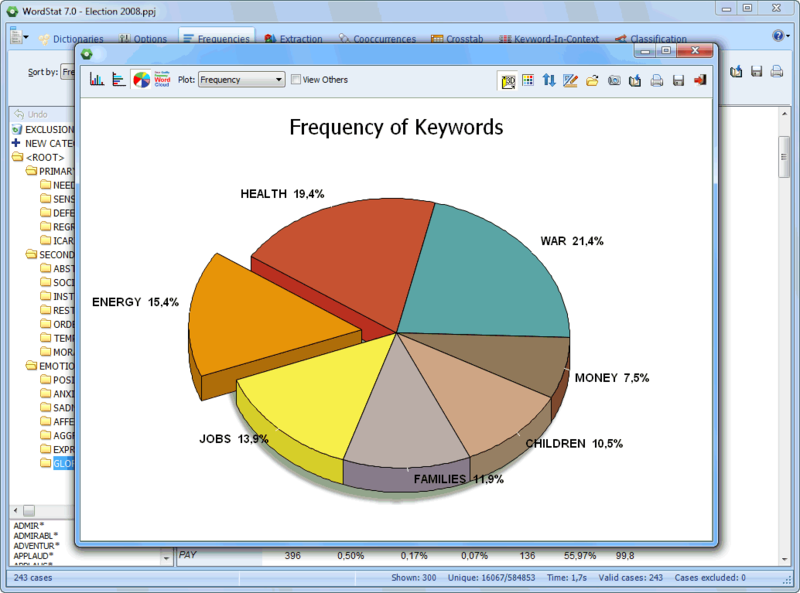 The Frequency page displays a frequency table of keywords or content categories. 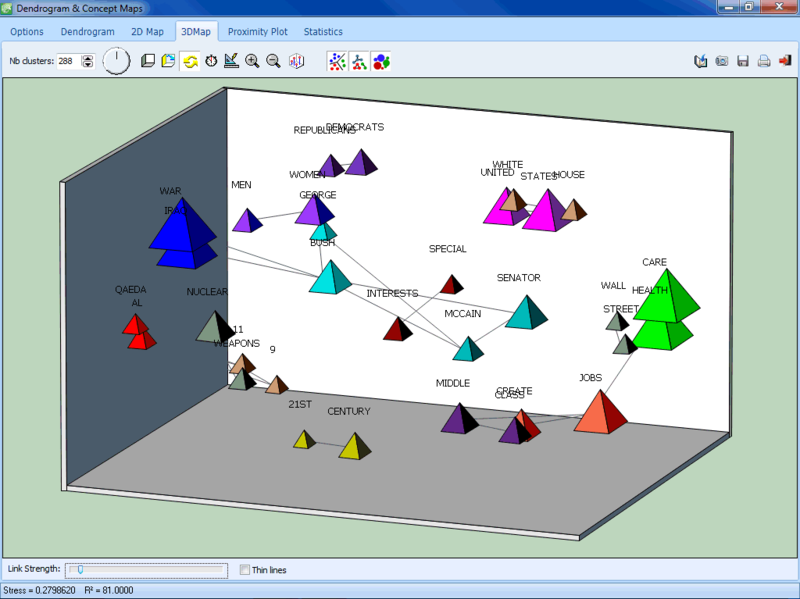 A suggestion panel on the right suggest synonyms and related words. 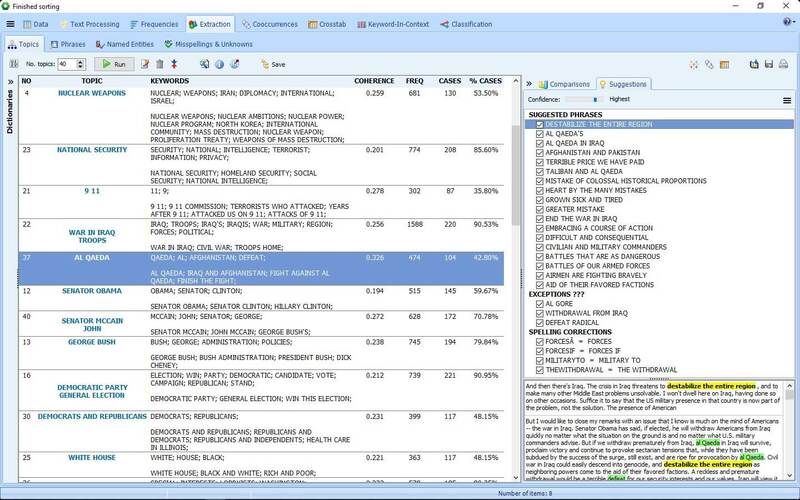 The Apply page allows one to categorize a single document, a list of files, or text variables in the current or an external data file.